Rajiv Gandhi's Sri Lanka intervention helped win Haryana Election back in 1987? The CIA also believed certain political advantage to Rajiv Gandhi with the signing of accord and input suggested that his efforts to bring peace for Sri Lankan Tamils. NEW DELHI: ‘Insider Knowledge’ can be roughly defined as real-time intelligence that shapes the events and gives us a peep into situation room to highlight why decisions were made by then government. But, blunders will be too many and difficult to count if the ‘insider knowledge’ is ‘sexed-up’ with deceptions and lies by the faceless intelligence officials. The CIA, top American intelligence agency, which had convinced the people to enter 2003 Iraq war had observed in 1987 that then Prime Minister Rajiv Gandhi intervened in Sri Lankan crisis to win Haryana state assembly election. The intelligence memo dated June 8, 1987, which has been declassified by the CIA observed that India’s decision to airlift humanitarian aid to Sri Lankan Tamils was to gain ‘Hindu’ sympathy. “ He (Rajiv Gandhi) probably believes such dramatic actions on behalf of Hindus in Sri Lanka will help win over Indian Hindus before critical election next week in Haryana state,” the CIA memo said. 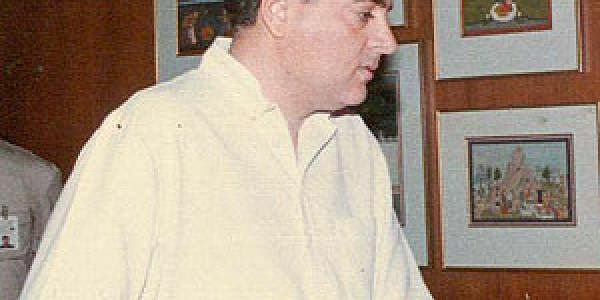 A CIA intelligence officer memo suggested that Rajiv’s move in Sri Lanka was keeping in the view India’s determination to be the dominant regional power in South Asia. Before Rajiv’s decision, an assessment prepared in June 1984 by the CIA said that New Delhi then rules by Indira Gandhi was “preparing for the possibility of direct military intervention.” The CIA intelligence memo said Gandhi believes that ethnic violence in Sri Lanka can have serious repercussions for India as well as her own political future. “We believe New Delhi’s support for Sri Lanka’s Tamil separatists probably is an effort to control a movement it cannot eradicate. Gandhi cannot move against Sri Lankan Tamils in Tamil Nadu without risking the loss of India Tamil votes in this election year,” the CIA memo said. The intelligence agency said Mrs Gandhi wants to forestall intervention in Sri Lanka by the superpowers and Indian officials reacted with dismay last summer after hearing of Sri Lanka’s thinly veiled pleas for security help from several countries including Pakistan, UK and USA. CIA said the Indian Navy can launch a small amphibious assault force against Sri Lanka on short notice. “ In our opinion, the likelihood of a peaceful resolution of the tensions that divide Sri Lankan society is rapidly diminishing,” the CIA intel note said. In the war, the ability to see the dust storm even before the engine roars has always been critically important. The CIA memo of December 22, 1987, appears to have had ace up on its sleeve when amid the fog of war it said that Indian forces in Sri Lanka could stay for longer and that could be at least next 3 years. The American agency’s another input pointed out that Rajiv’s move seems to reflect adoption of a doctrine formulated by his mother (Indira Gandhi) and reaffirmed recently asserting an Indian right and responsibility to protect ethnic Indians anywhere, even when they resist protection.